I decided to avoid the whole concept of tablescapes, so I followed the instructions on the neck of the bottle to chill and serve. Well, I chilled the strawberry margarita. The key lime is still unopened. One at a time, yanno. 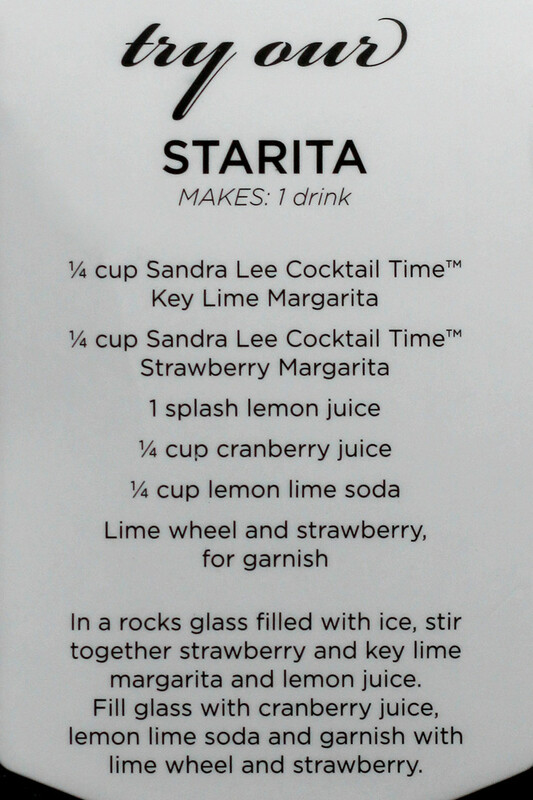 And then I spied some information about using the margarita mix as an ingredient in a cocktail. 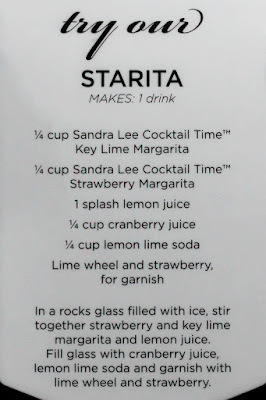 So ... use a cocktail to make a totally different cocktail? Sure, why not? 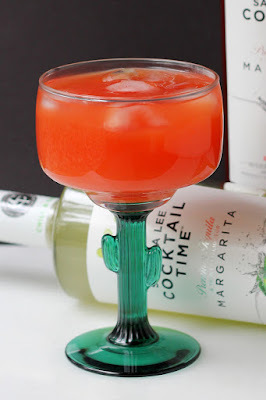 I decided not to go too far afield with the margarita, but I wanted to add some more tartness and freshness to it. Orange juice was my choice. It added zing I wanted, and it changed the color from pink to more of a dark salmon color. And, obviously, it cut the alcoholic content a bit, so I could have a little extra. I like my margaritas on the rocks rather than blended, but this would be just as good blended. Add ice to your glass. Add the margarita and orange juice, then add the dash of bitters. If you like, garnish with some fruit - lime would be nice, or a slice of orange or a whole strawberry. A sprig of mint would also be appropriate. 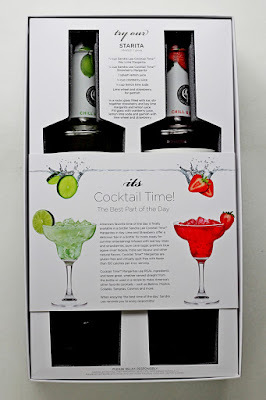 I received the margaritas as a surprise from the manufacturer, at no cost to me. I like surprises!